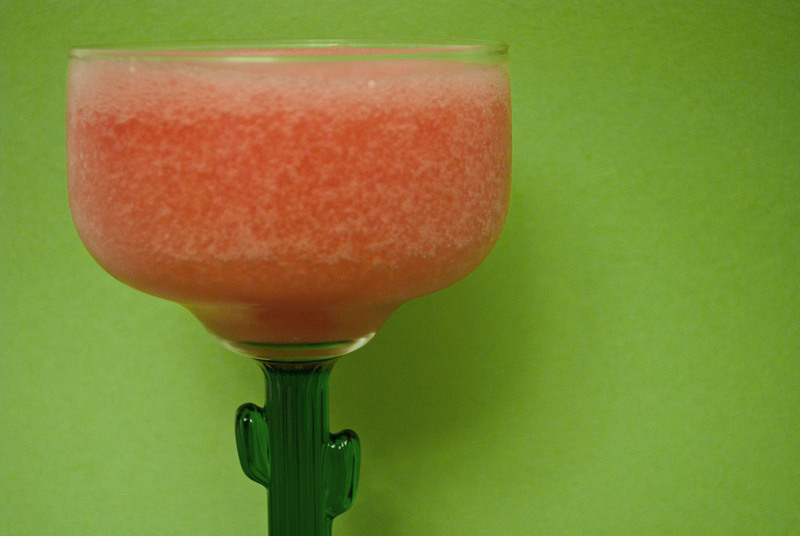 This one’s for Jen D., who, like me, loves both watermelon and margaritas. You just can’t go wrong when you combine them. We bought our first watermelon of the summer this weekend, and after eating as much as we could stuff our faces with out of hand, we commenced to making our favorite summer drink. It’s fruity and refreshing, and barely tastes alcoholic. Mmmm. *Do not be afraid to make simple syrup. It’s ridiculously easy. Just heat one part water with one part sugar (I usually do one cup each) and stir until the sugar is dissolved. Done. Combine all ingredients in a blender and process until smooth, about 1 minute. Makes 2 drinks.